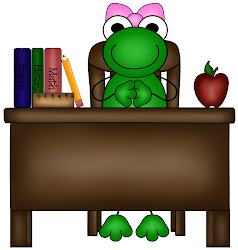 I LOVE The Frog Desk Fairy!!! As a former primary teacher last year was first experience with desks. I was used to the students working at trapezoid tables, sharing community supplies, and keeping personal items like their bag of books, writing folder, poetry folder, etc. . . in their chair pocket. So last year one of the MANY adjustments that I had to make upon coming to 3rd grade was the dreaded student desk-and the inevitable mess!!! It didn't seem to matter how much I emphasized putting things away neatly for some/most kids the desks were still a mess. The same has also been true this year. I am happy to announce that I may have found the solution. Yesterday my classroom was visited by The Frog Desk Fairy after school. When my students arrived this morning they saw that three of our students were left a certificate (see the picture) and a lollipop by the desk fairy because everything in their desk and the chair pocket was neatly put away. Those three kiddos showcased their certificates and lollipops and then we took a "field trip" to see why those particular students were left treats by The Desk Fairy. And low and behold by the end of the day there were now ten students eligible for a surprise and seven more with better desks. I just hope that they are able to keep it up!!! For more information about The Desk Fairy check out Fabulous 4th Grade Froggies blog. Click HERE. 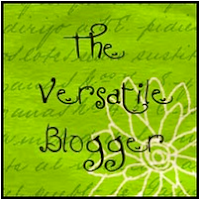 If you do not already follow this blog I encourage you to check it out-you just might like it. She has awesome ideas and is always willing to share.